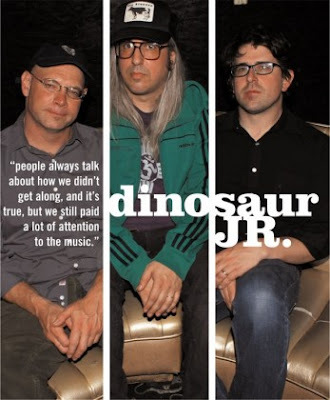 Legendary indie rockers Dinosaur Jr. will be appearing on the Letterman show TONIGHT. Their amazing new album, Beyond, will be in stores tomorrow. I do not mean to "over-hype" an album, but Beyond is, without question, at the level of their late 80s greatness. They have re-captured the magic. I have been listening to the new CD non-stop for the last two weeks!